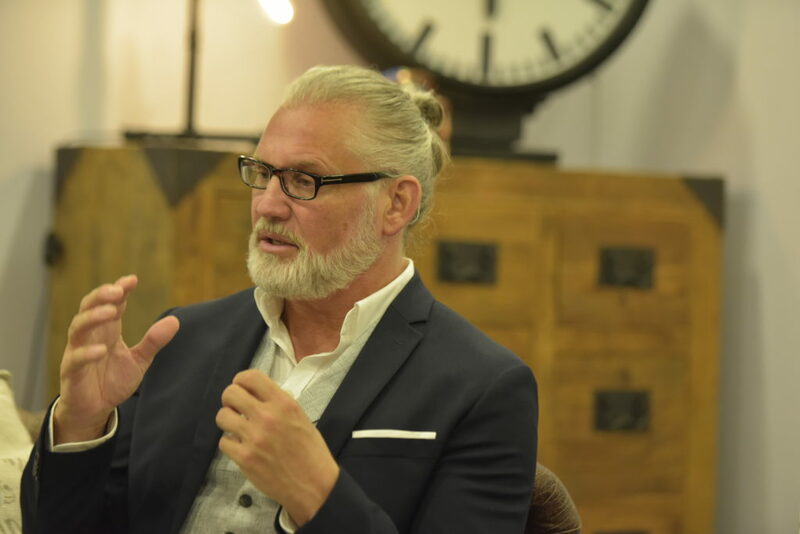 Paul Scanlon, leadership trainer and founder of Life Church UK, returned to preach at City Harvest Church last June. He delivered two very timely messages, reminding the church to stop looking inward, to get up and get moving. 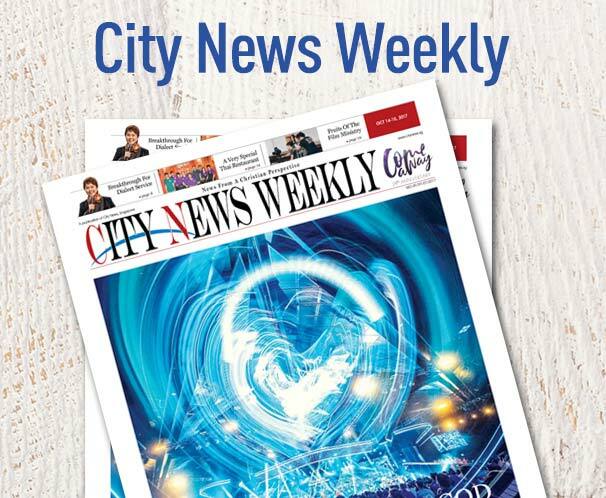 City News caught up with the pastor for this interview. City News: Pastor Paul, you taught at your Sunday service that fruitfulness comes before deliverance. For some, that was talking about CHC’s journey: they feel we weren’t delivered—our leaders still went to jail. How do we become fruitful in the midst of these circumstances? Paul Scanlon: What the church should not do is hold the fort. Holding the fort is no good for Pastor Kong (Hee, senior pastor of City Harvest Church) or for God. The church needs to continue to flourish without Pastor Kong here. Kong would want that; he would want the church to thrive and be fruitful in his absence so that when he comes back, he is not coming back to something that has parked up for a few years. I would say to the church here, that Pastor Kong, like Joseph in prison, will flourish there. Because that is how he is wired. Kong will be a blessing in the prison; he will grow as a person. He will not come back as he left three years ago, because he would have figured a lot of things out and have understood a lot of things that you can’t understand unless you go through some stuff. So he will come back a different person. And the church should not be standing still either. The church should not think that deliverance is only coming when Kong gets free. We have to think our fruitfulness is now. The prison sentence is irrelevant to the church flourishing. Because your fruitfulness is not governed by a person or a leader. [Pastor Kong] will add to it what he adds [when he returns] but every single person in the church will have to stop being on hold psychologically or mentally. Don’t be on hold. Get moving, be fruitful, be a blessing, start pouring your life out. Kong coming out of prison is secondary to that. In your sermon, you shared the story of Steve, a homeless person who made the decision to be fruitful and eventually flourished. There are many who don’t choose to be fruitful or take action. Is there anything we, as fellow Christians, can do to move them to that point? I took Steve as an example because if he could do it, anyone can do it. Steve was the bottom of the pile, if you would—he was homeless, and addicted to alcohol. If someone like Steve can decide to turn his life around, none of us have any excuse. It’s the same principle that Steve discovered that I shared with everyone. It applies to all humanity, not just the church. That’s why there are many people outside the church that are doing better than those within the church. They figured this out: they can’t sit around and be depressed or negative or in regret or be looking back, or be waiting for things to get better. Many people, especially the millennial generation and the emerging teenager generation, are not wired to sit around and wait for handouts. They are going to get out and get moving so fruitfulness is more understandable for them than maybe to an older generation. I grew up with the theology of deliverance first then fruitfulness. We went for the laying on of hands, prophesy, encounter, a touch of God, believing that we need to be healed or get out of debt before we can get fruitful. I’m trying to do is pass on to your generation that we made a mistake, because we spent years of our lives waiting for something from heaven. And there is nothing coming from heaven—that’s the message. You are already here, from heaven, all of God’s power is in us to get on with it now! There is nothing we should be waiting for. And I think your generation have got to not make the mistakes we did. That’s why I think it really matters to me to pass on this message to the millennials and to the kids coming after you. You also preached about being mindful of wastage in the church. 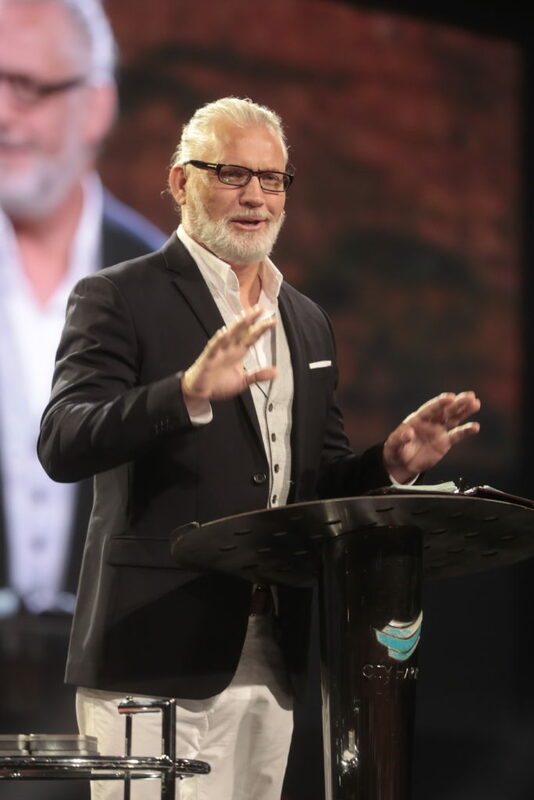 There is a common thread in the two messages: you are trying to tell us to not be inward-looking and to make the decision to be fruitful and do something in our life. Why do you think this is an important message in this season for our church? I think it’s a message in this season for humanity. I think human beings are prone to be wasteful. But if you go beyond humanity into the church bubble, you find that we are so overfed, over-nourished. There is so much love, kindness and friendship in the church bubble. But we are only focusing on each other. My point was that the church needs to realize that this [love, kindness and friendship] is not all for us and we need to give it away. We’re blessed to be a blessing and the blessing we are to be is not just to those in the bubble. I think the church has to get that memo around the world that our job is to find the ones that are still missing, to use what we don’t need for someone else’s benefit. That’s why I used the example of the story of the Wizard of Oz [in my preaching]. We come to God asking Him for things we already have. We don’t need the wizard, we need the witch. Only the evil witch can bring out of you the courage, and the strength and the wisdom that we think we have to get before we do anything. Those things in us don’t drop down from heaven, all that comes from living among humanity, suffering, going through pain and difficulty. It makes us better people. That’s why it’s worth talking about to the world, especially to the church because we are more prone than a lot of other organizations, to consume a lot of stuff and forget that those who are not here, need the “leftovers”. For those who are convicted by your message, what are some first steps they should take? First thing they can do is to start giving away things they were keeping for themselves. If you get texts from 10 friends telling you they love you, tell your 10 friends you only need eight of those and the others can be given to someone else who really needs it. I think we really need to start saying “I’m fine, I do not need all this attention.” It’s about releasing that signal that you’re not high maintenance and so can we please start spreading that to other people. Everyone can start by stop waiting for someone to call them, or include them. Stop being consumers instead of producers. Instead of waiting for someone to text or call you, why not just text or call someone? Instead of waiting for an invite or waiting for someone to be friendly to you, why don’t you invite someone or be friendly? It’s reversing and being in charge instead of feeling you can’t be happy and fed until you get some attention.